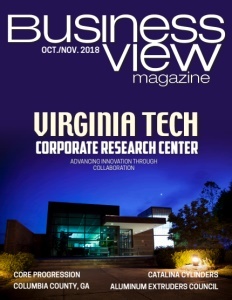 Business View Magazine interviews Rhiannon Jacobsen, Vice President for Market Transformation & Development at US Green Building Council / USGBC Maryland. 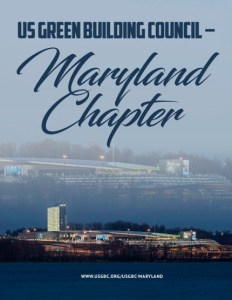 With a mission to use education, advocacy, and community outreach to support the development of sustainable buildings and communities, US Green Building Council Maryland is committed to a prosperous and sustainable future for the state of Maryland through cost efficient and energy saving green buildings. BVM: Can you tell us a little about the history of the US Green Building Council ? What was in the minds of its founders? What was the need that the USGBC felt had to be filled? Did the mission change over the years? What is the current mandate of the Council? Jacobsen: “The U.S. Green Building Council, or USGBC, was founded in 1993 by David Gottfried, Mike Italiano and Rick Fedrizzi. At that point, while the environmental movement possessed considerable momentum, it was challenging to provide a uniform definition of “green buildings” — let alone a codified mechanism for certifying them based on their sustainable features. 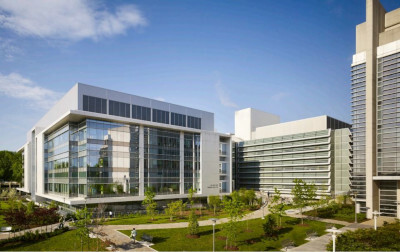 “USGBC’s formation and the development of the LEED green building rating system occurred at a time when the built environment was experience a spate of building design trends that resulted in buildings that looked nice, but were built with unsustainable materials, and poorly maintained environments on the inside, which could have a detrimental effect on the health of building occupants. “By 1998, US Green Building Council had successfully developed LEED 1.0, and it began pilot testing 19 projects. Following the success of the pilot program, LEED for New Construction saw a public launch in March 2000. BVM: What is your membership in Maryland? Has the number changed significantly over the years, and if so, why? Are there different tiers of membership? Are there any associate members from different industries? How do you communicate with the membership? What are the benefits of membership? Jacobsen: “US Green Building Council is a movement of community leaders, professionals, businesses and innovators working to accomplish a single bold vision: healthy, efficient and equitable buildings and communities for all. USGBC members demonstrate their commitment to sustainability while also making an impact within their sphere of influence, advancing the movement for a more sustainable built environment. “USGBC members have access to the greater green building community and industry leadership opportunities through participation in USGBC and LEED committees, local volunteer opportunities, conferences and webinars, and meetings with elected officials to advance the green building industry. Our membership network represents a mosaic of industries and professionals united behind better buildings and their rewards for our future. 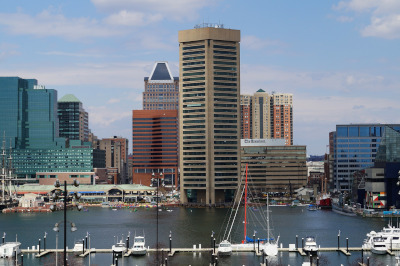 BVM: What is the size of the US Green Building Council staff/presence in Maryland? What do they do? What are their main priorities? Are there any major changes planned for the near or long-term future? Jacobsen: “We have a number of dedicated volunteers and advisory board members who are steadfast in promoting green building in Maryland, and given the state’s proximity to our headquarters in Washington, D.C., several staff members that work on advancing the green building market in Maryland, myself included. BVM: What are some notable recent, current, and upcoming projects in Maryland? Jacobsen: “There are more than 1,000 LEED-certified projects in Maryland, one of the most recent being the home of the Baltimore Orioles, and one of the oldest buildings in the country to earn certification, Camden Yards, which earned LEED Gold for Existing Buildings: Operations and Maintenance. “The new MGM National Harbor, a hotel and casino just outside D.C., achieved LEED Gold and is the largest project certified in Maryland at more than 1.2 million square feet. BVM: How does the Council coordinate continuing education (events, podcasts, partnerships, etc.)? Jacobsen: “We believe that knowledge and opportunities for action are the tools to drive true transformation. US Green Building Council supports continued learning through a variety of education opportunities and resources. Our Education@USGBC offers a wide range of continuing education for sustainability professionals, teachers, and USGBC members. All of these resources are available online, so anyone who signs up for Education@USGBC can learn on their own time and at their own convenience. We also develop periodic podcasts and videos highlighting the work of our partners and members. “One of the most popular offerings we have at US Green Building Council is professional accreditation for green building and sustainability professionals. A LEED credential denotes proficiency in today’s sustainable design, construction and operations standards. More than 202,000 professionals have earned a LEED credential to help advance their careers. BVM: What does the landscape look like for the industry over the coming decade in Maryland? How will the Council continue to be a viable voice for the industry? Jacobsen: “We certify thousands of square feet of space in Maryland every week, and we anticipate that number will continue to grow. We have introduced new rating systems that are meant to break the barriers to entry, and make it more streamlined for new buildings to pursue LEED certification. Our most recent version of LEED, LEED v4.1, is the most inclusive and accessible version of LEED to date, making it easier to track performance and continually improve building performance. We also have developed a new technology called Arc that helps building operators and facility managers to track and benchmark building performance based on five metrics: energy, water, waste, transportation and human experience. While currently only available for use in existing building, LEED v4.1 uses Arc, making it easier for new projects that sign up for LEED to fully integrate the benchmarking system into their projects. “US Green Building Council is a mission driven organization – with a vision that buildings and communities will regenerate and sustain the health and vitality of all life within a generation. We believe that there is room in the marketplace for any organization that aligns with this vision. In order to truly make an impact we need all hands on deck. LEED continues to be the world’s premier green building rating system with 2.2 million square feet certifying every day in more than 167 countries and territories. LEED offers high quality, technical rigor and impact. LEED is a platform for engagement and a mark of leadership. BVM: If you were writing a profile on Maryland Green Building, what are the salient points that you would like a reader to take away from it? Jacobsen: “Though a small state, Maryland is one of the most progressive and forward-thinking when it comes to sustainability, and is a leader in the prevalence and promotion of green building in the country. There are more than 1,000 commercial projects in Maryland that are LEED-certified, representing nearly 125 million square feet of space. In 2017, Maryland ranked fifth in USGBC’s annual Top 10 States for LEED, and has appeared on the list every year since 2011. Check out this handpicked feature on Building Industry Groups to Streamline Tools and Development.